Albury's Ferry Service is more than just a way to get where you need to go; we're a family owned and operated transportation and tourism company that's focused on identifying and serving the needs of our beloved Abaco community as well as the visitors and guests we love welcoming here. 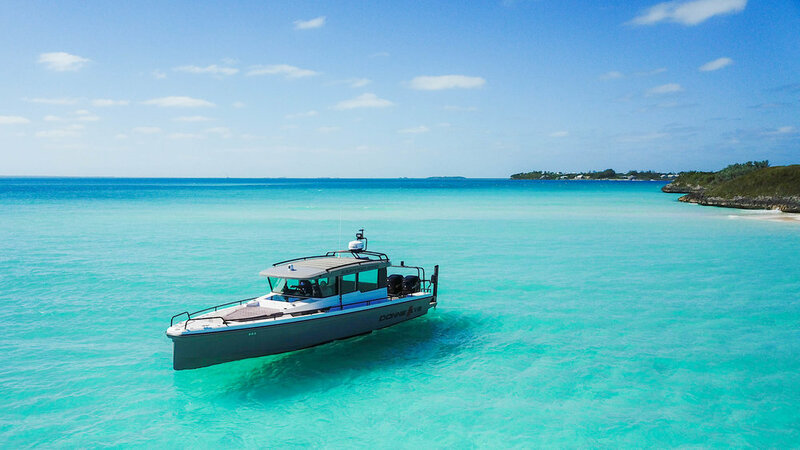 In addition to ferry service throughout the Cays, we proudly offer point to point charter service, luxury adventure tours and trip concierge and delivery services. Since the day the airport opened in Marsh Harbour, Albury's Ferry Service has been the leading provider in transportation around the cays. With over sixty years experience navigating the local waterways, it's no wonder we're the most trusted name in tourism and transportation. Albury’s Ferry Service is located at The Crossing Dock in Marsh Harbour, a 15 minute taxi ride from the airport. Taxis are readily available at both the airport and The Crossing. All of our ferry tickets are valid for use on any of our regularly scheduled ferries; you do not need to have a specific date or route in mind in order to purchase tickets. Round trip tickets do not require a specific return date and multi-trip tickets may be shared among a group. Children ages 5 and under are always free. For a list of our most frequently asked questions please click here. The Abaco Islands are often referred to as the "real" Bahamas because you won’t find an all-inclusive resort or casino or a cruise ship within a hundred miles from here. What we do offer is some of the most spectacular beaches, reefs and marine wildlife in the world. Come explore with us! Albury's Ferry Service understands that you have important places to be and wonderful things to see! Our point to point charter service is available from any of the cays that we service and can accommodate any number of guests from one to one hundred. We go according to your schedule, not the other way around. You've worked hard to get here, so why spend your precious vacation time running around doing tedious errands? Island Concierge, a subsidiary of Albury's Ferry Service will shop for all of your groceries and spirits and have them waiting for you on the ferry when you arrive. To get started click the button below. There are so many truly unique places to see and things to experience while in Abaco, take a peek at our Instagram feed to see some of the magical places we go! Sunset cruises, adventure tours, full moon parties, private beaches….the only limit to the kind fun you can have here is not knowing of where to find it!